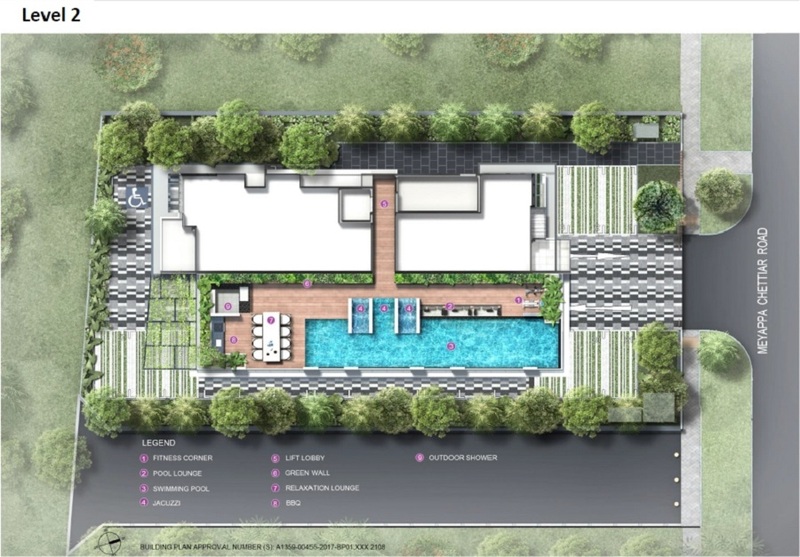 The Additon is an upcoming residential development that is located in the Potong Pasir, Central Region of Singapore. This city fringe development is classified under Toa Payoh area. With its strategic location, accessibility and closeness to the city, Potong Pasir has always been a favourite area for foreign as well as local home buyers. The site of this development is along Meyappa Chettiar Road, it is surrounded by Meya Lodge, Ridge Court and Leicester Suites. The Additon is also opposite of The Poiz Residences and The Poiz Centre, an upcoming mixed development that comprises of residential and commercial units. This plot of land had previously belonged to Apartment 8, a boutique residential development comprised of 8 apartment units that was completed in 1995. It was successfully acquired by Singapore listed property developer, Oxley Holdings, during a collective sale exercise in December 2017. Its land has a total site area of approximately 898.1 square metres and with a gross plot ratio of 2.1. Upon completion, The Additon will have to total number of 26 residential units that comprises of 2 bedroom units, 3 bedroom units as well as 3bedroom plus study units. 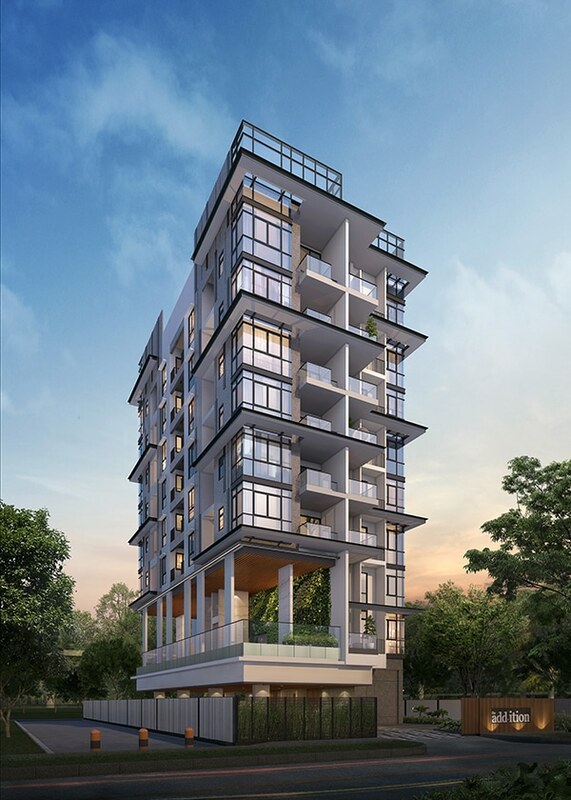 Other developments that are within The Additon’s vicinity include Park Colonial, The Woodleigh Residences, The Venue Residences, Sant Ritz, Sennett Residence, Nin Residence, Blossoms @ Woodleigh, 8 @ Woodleigh, 18 Woodsville and Woodsville 28. 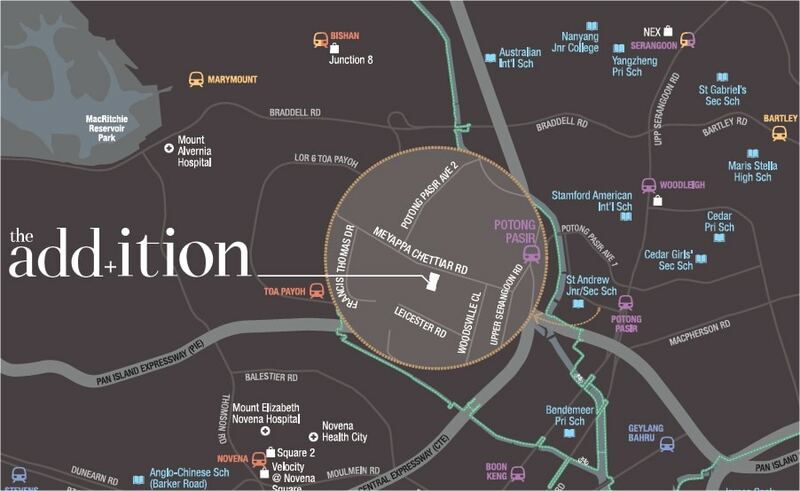 The Additon is conveniently located just 200 m away from Potong Pasir MRT Station which operates the MRT North East Line. Future residents just need to travel 2 stations towards the Punggol MRT Station direction to arrive at the Serangoon MRT Interchange Station where they could easily transit to the MRT Circle Line. The Little India MRT Interchange Station is also just 3 train stations away from the Potong Pasir MRT Station in the direction of Harbourfront MRT Interchange Station. Future residents will be able to connect to the MRT Downtown Line readily available at Little India MRT Interchange. The Dhoby Ghaut MRT Interchange Station is also just 4 train stations away from Potong Pasir MRT Station in the same direction. For drivers, The Additon is also near to a vast network of road connectivity. It will take future residents approximately 12 minutes of driving to arrive at the Orchard Shopping Belt and for those working in the Central Business District (CBD) approximately 16 minutes’ drive to arrive at their offices. The nearby main Serangoon Road will also lead to the Central Expressway (CTE) and also the Pan Island Expressway (PIE) which provide great accessibility to various parts of the island. In terms of shopping and dining, future residents just need to cross the road to arrive at The Poiz Centre, an upcoming shopping mall which has approximately 50,000 square feet and will have 84 shops. Future residents can also travel down to the NEX Mall, one of the biggest shopping malls in the North East Region, which is just next to the Serangoon MRT Interchange Station. There are also a number of local schools located nearby including Saint Andrew’s Junior School, Bendemeer Primary School, Cedar Primary School, Hong Wen Primary School, Pei Chun Public School, Maris Stella High School (Primary), First Toa Payoh Primary School, Canossa Convent Primary School, Macpherson Primary School, Saint Andrew’s Secondary School, Cedar Girls’ Secondary School, Bendemeer Secondary School, Maris Stella High School (Secondary) and Saint Andrew’s Junior College. It is also near to tertiary institutions such as Curtin University Singapore and James Cook University Singapore (Sims Drive Campus) and also international schools such as Stamford American International School and Global Indian International School (Balestier Campus). Convenient – It is just next to The Poiz Centre. 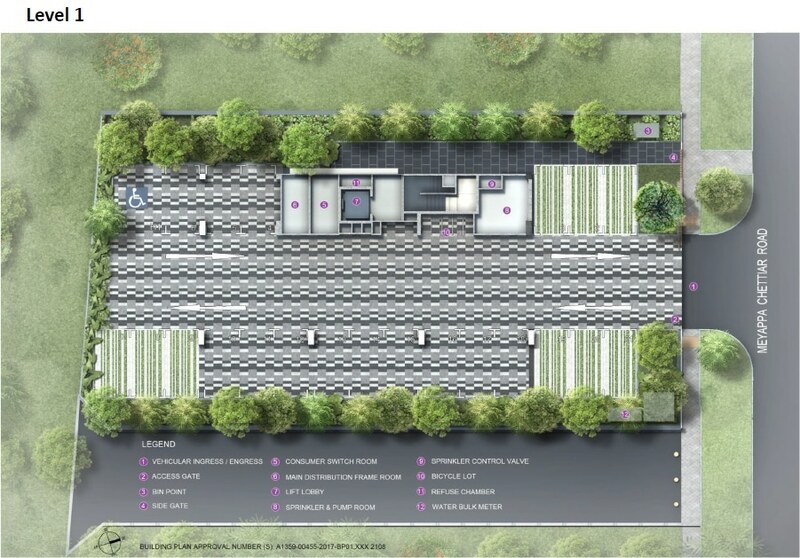 Locality – It is just next to Potong Pasir MRT Station. Want to be a proud owner of a unit in The Additon? Thank you for your interest in The Additon!